I’ve been wanting to do this for a while now, but I’m happy to finally put together a feed I’m calling the “Homebrew Community Feed,” which consists of the latest content from all of the nearly 100 Top Homebrewing Blogs. 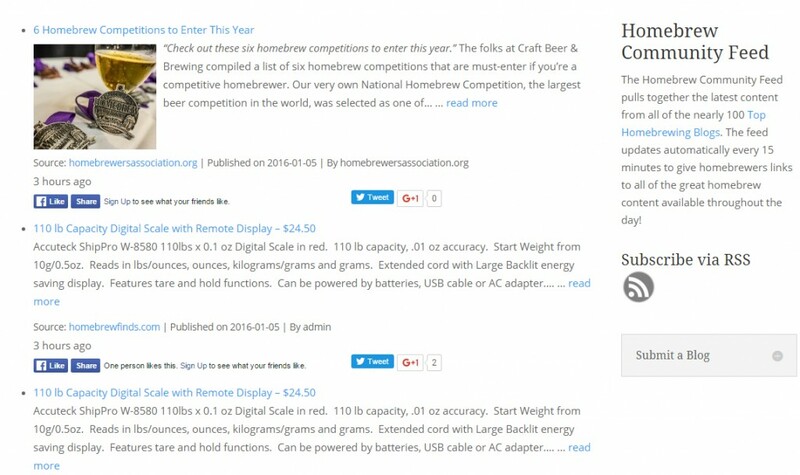 The feed updates every 30 minutes to give homebrewers links to all of the great homebrew content available throughout the day! I hope this will be a streamlined resource for brewers as well as a convenient way to be exposed to new bloggers! Love this newsfeed. It’s become my everyday obsession!